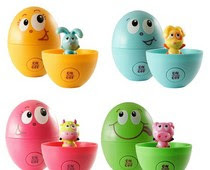 Hide one of the egg noise-making toys, from your child’s view somewhere in a room. First, ask your child WHAT he hears. Then, WHERE the sound is coming from. You may want to begin by keeping the choices simple. For example, "Do you hear the sound near the windows or closer to the fireplace?" Remind the child to listen first or else they will begin searching with their eyes! To play this game, with the electronic Eggs, press the on/off button on the side and hide it. The egg then calls out phrases periodically like, "Yoo-hoo! I'm hiding! I'm over here! " Once the toy is found, you can pop it apart to reveal the character inside, who will exclaim something like, "It's me, Maggie! You found me! The ability to localize sounds develops over time. The earlier your child has received his bilateral cochlear implants/hearing aids, the sooner he starts picking up sound cues and gains valuable experiences localizing sounds. Using two different musical toys, hidden from the child’s view, locating one to the left of the child and one to the right side of the child. Then, make a sound with each instrument in varied sequence, ask your child to identify which instrument is on which side. You can do this with Mom's vs. Dad's voice as well. 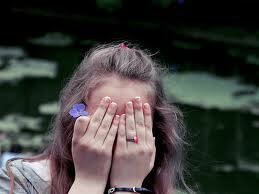 Playing hide-and-seek indoors (e.g. room or house), hiding yourself and calling out to your child to find you. This task may be varied by taking turns between hiding and searching. Games in a group, such as “Blindman’s Buff ” or “I Spy” (with sounds), hand clapping games are ideal for practicing sound localization in a playful way. 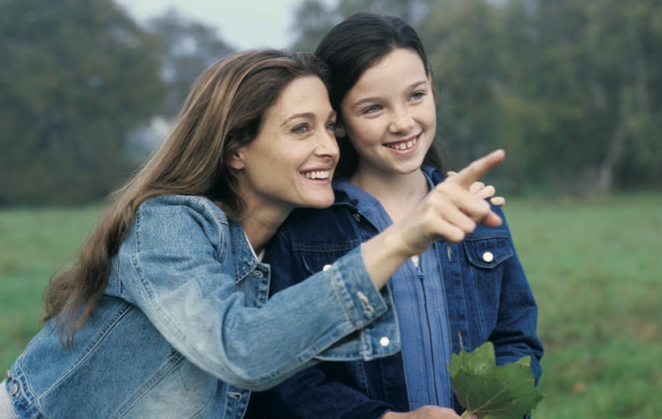 Teach your child that is hard of hearing to be extra alert visually in crowds, walking near cars, crossing streets, riding bicycles, and in group games. Remind your child to look for traffic and not to depend on hearing oncoming vehicles. If your child rides a bicycle, consider rear-view mirrors to help him see traffic he might not hear. - understand and verify gross, environmental, music or speech sounds within 9 feet, then 12 feet and finally, within the same room in all directions. - Understand sounds with a specific location or direction outside. "Sound Localization Tips and Information for users of Cochlear Implants"